Bucket lists are a fantastic way to prioritize your travel aspirations – and for families that want to make travel and exploring a priority, a way to keep you on schedule. They’re a tool that we use when we’re planning everything from the places that we want to travel, to the activities that we can to embark on during summer holidays!A recent survey by InterContinental Hotels Group, however, revealed that 91% of Canadians that have or plan to make a bucket list say they can’t make their dreams a reality. It’s no surprise that cost (68%) and work obligations (37%) are the top two barriers for Canadians. Keeping it local choosing destinations that are close to home, or within Canada means keeping more money in your travel account for adventures. Domestic, low-cost airlines are becoming more affordable for families, and you don’t have to worry about currency exchange when you’re booking a family-friendly hotel. InterContinental Hotels Group partnered with bucket list expert Robin Esrock to create a great bucket list of Canadian destinations that can inspire you with adventure. Better yet, you will be able to keep more money in your ‘adventure bank account’ with affordable and family friendly properties that take care of the ‘where to stay’ on your next weekend away or holiday. It is amazing that in a country with wolves, bears, wolverines, eagles and orca our national animal is the beaver. 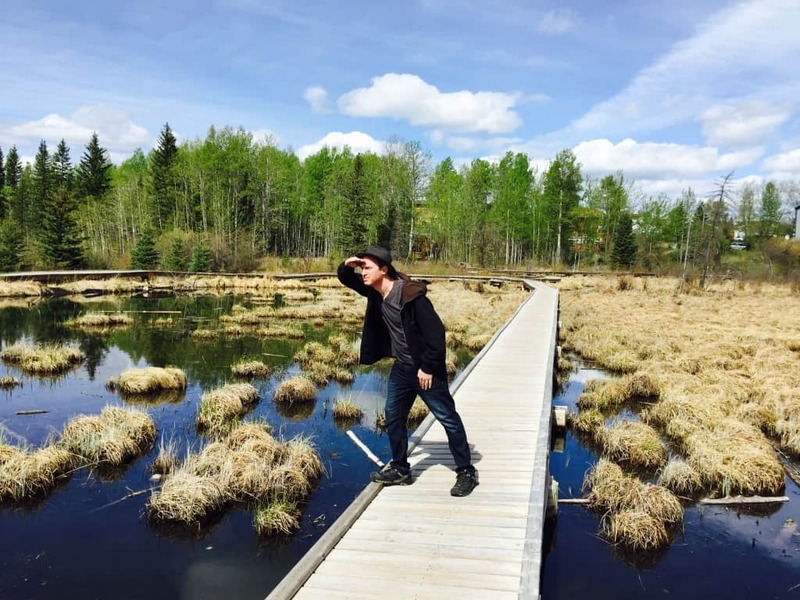 They’re usually difficult to spot, unless you head off to visit the 1.5km-long wooded Beaver Boardwalk in Hinton. It loops through an active beaver dam and includes an observation tower over the beaver lodge. Slapping their tails to scare you off – or say hello – toothy beavers are lovable and industrious, warm and homely, the perfect Canadian animal after all. They call it the River of Death. Seventy-three million years ago a flood trapped a herd of dinosaurs and buried them for eternity into layers of mud and rock. Today their fossils sit about a forty-minute drive from Grande Prairie at the Phillip J. Currie Dinosaur Museum, and are among the richest dinosaur bone beds ever discovered. Phillip J. Currie is the Canadian paleontology legend that inspired the character played by Sam Neill in Jurassic Park. Dinosaur buffs won’t want to miss exploring his new namesake museum where you’ll see many fossil displays and fascinating exhibits about the distant past. Where else can you shop and swim? Covering nearly five acres, the World Waterpark inside the West Edmonton Mall is North America’s largest indoor amusement park. Beyond housing the world’s largest indoor wave pool, dare to take on the triple-loop Cyclone, probably the most extreme slide in Canada. The West Edmonton Mall is the largest mall in North America, with over 800 stores. After you shop and swim, consider stretching your legs at Elk Island National Park, a famous haven for free-roaming wild bison. Every February Vernon hosts the largest winter celebration in Western Canada featuring parades, a moonlit lantern ski and snow sculpture competition. A popular highlight is watching dozens of bright-coloured hot air balloons soaring in the crisp winter sky. The Hot Air Balloon Fiesta kicks off the Winter Carnival and is a spectacular event well worth booking ahead. We’ve added all four of these destinations to our summer bucket list, and you’ll find us exploring the beaver boardwalk this weekend! Our first adventure this summer? We’re heading to Devonshire Beach at Slake Lake, where there is a convenient, affordable and family-friendly Holiday Inn property that our kids love. Hands down one of the best beaches in Alberta, make sure it makes it on to your list to explore with your own family this summer.